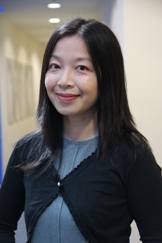 Dr. Grace Lee Hooi Yean is an Associate Professor of Economics and Head of the Department of Economics with Monash University Malaysia. She is also the chair of ‘Monash Volunteers’, a campus-wide initiative to make a demonstrable and positive impact on the communities in which we serve. Grace has over fifteen years of teaching experience in the field of Economics. She has taught courses in economics to undergraduate and post-graduate students. She is currently serving as a member of the Peer Review Team for ASBEST21 Accreditation (The Alliance on Business Education and Scholarship for Tomorrow, a 21st century organization). In addition, she is also the external reviewer for various programmes offered by private universities in Malaysia. Her principal areas of interest are international economics, labour economics and social economics. She has supervised many honours and PhD students in the said areas. She has been involved as the principal investigator of World Values Survey for Malaysia. Her research findings have been presented at international conferences and published in high ranked international journals such as Applied Economics, Economic Modelling, Public Choice, Journal of Asian Economics, Journal of the Japanese and International Economies and Journal of the Asia Pacific Economy. In addition, she is also a panel member of Institutional Evaluation Panel for External Research Grants at Monash University. She received various Teaching Prizes and PVC’s Awards for Excellence in Teaching and Research. Prior to her academic profession, she was a business consultant in a multinational consultancy firm. Lee, G.H.Y., ‘Gold Dinar as Common Currency for Islamic Countries’ in Contemporary Issues in Islamic Business and Economic Development, edited by Adnan Trakic and Hanifah Haydar Ali Tajuddin; 2nd edition (Malaysia: The Malaysian Current Law Journal, 2016). Siah, K.L., & Lee, G.H.Y. (2015). Female Labour Force Participation, Infant Mortality and Fertility in Malaysia, Journal of the Asia Pacific Economy, Vol 20 (4), pp. 613-629. Lee, G.H.Y., & Parasnis, J. (2014). Discouraged Workers in Developed Countries and Added Workers in Developing Countries? Unemployment Rate and Labour Force Participation, Economic Modelling, Vol 41, pp. 90-98. Lee, G.H.Y., & Lee, S. P. (2014). Childcare Availability, Fertility and Female Labour Force Participation in Japan, Journal of the Japanese and International Economies, Vol 32, pp.71-85. Liyanage D.H.P., & Lee, G.H. Y. (2013). Have Economic Growth and Institutional Quality Contributed to Poverty and Inequality Reduction in Asia? Journal of Asian Economics, Vol. 27, August, 71-86. Lee, G.H. Y., & Azali, M. (2012). Is East Asia an Optimum Currency Area?. Economic Modelling, 29(2), 87-95. Bomhoff, E., & Lee, G.H. Y (2012). Tolerance and Economic Growth Revisited: A Note. Public Choice, 153(3), 487-494. Lee, G. H. Y. (2011). Aggregate Shocks Decomposition for Eight East Asian Countries. Journal of the Asia Pacific Economy, 16(2), 215-232. Lee, G. H. Y., & Azali, M. (2010). The Endogeneity of the Optimum Currency Area Criteria in East Asia. Economic Modelling, 77(1), 165-170. Selvarajah,J., Nair, M., and Vaithilingam, S., (2015) “Behavioral Intention to Use Microfinance: A Developing Country Perspective.”, 2nd International Symposium on Partial Least Squares Path Modelling. The Conference for PLS users. June 17th and 18th, Seville Spain. Liew, E., Vaithilingam, S. and Nair, M., (2015) “Quality of Regulatory Governance and Affordability on Information Seeking Use and Economic Benefits of Facebook in a Developing Country”, 11th International Conference on Technology, Knowledge and Society, 23-25 February 2015, University of Berkeley, Berkeley, California, USA. Crosling, G., Nair, M., and Vaithilingam, S., (2015) “Access and Quality Education in the South East Asia Region”, in the Global Access to Post-Secondary Education (GAPS) Forum on 15 January, 2015 at Sunway University. Joint presentation. Wong, C. C., Vaithilingam, S. and Nair, M., (2013) “Attitudes of Different Segments of Consumers towards Mobile Advertising”, Paper accepted for publication at the International Academy of Management and Business (14th IAMB conference, January 21-23, 2013, Texas, USA. M. Nair, Vaithilingam, S and Crosling, G., (2012) “Learning Environment for an Innovation-driven Economy”, paper presented at the International Congress on Innovation and Regional Economic Development at the University of Science and Technology of China on the 2nd and 3rd of December 2012 (Best Paper Award). Selvarajah,J., Nair, M., Vaithilingam, S., and Ng, Jason, (2012) “Financial Inclusion and Sustainable Development of Marginalised Communities in ASEAN: An Exploratory Analysis”, paper presented at the International Congress on Innovation and Regional Economic Development at the University of Science and Technology of China on the 2nd and 3rd of December 2012. Informational Value effect of Syariah Index Original Inclusions and Additions: Evidence from the Malaysia Stock Market”, Paper to be presented in the 2nd IBS Ahmedabad International Conference on Management (IBSA-ICON 07). Kalaithasam K., and Vaithilingam, S. (2007) “Informational Value effect of Syariah Index Original Inclusions and Additions: Evidence from the Malaysia Stock Market”, Paper to be presented in the 2nd IBS Ahmedabad International Conference on Management (IBSA-ICON 07). “Evaluating the Productivity and Efficiency of Malaysian Commercial Banks”, Paper presented in the GBATA International Conference to be held in Lisbon/Leiria, Portugal, July 12-16,2005. Vaithilingam, S., Krishnan Guru, B. and Shanmugam, B. (2003) “The Role of Commercial Banks in Economic Growth in Malaysia: Lessons for Islamic Bank”, Paper presented at the International Islamic Banking Conference, Prato, Italy, 9th-10th September, 2003. “Factors Affecting the Adoption of Internet Banking in Malaysia”, Paper presented at the 7th International Conference on Information Systems Analysis and Synthesis (ISA 2001), Orlando, USA. “A Study of Implementation of Teleworking in the Customer Service Department: A Study in two Organisations in the Malaysian Banking Sector”, (co-authored) (INFORMS KORMS - Seoul 2000 Conference on Information and Knowledge Management). “An Application of The Transportation Algorithm in Selecting Bank Merger Partners”, (co-authored) (INFORMS KORMS - Seoul 2000 Conference on Information and Knowledge Management). “A Study of The Seasonal Variations In The Demand For And Supply Of Cash At Commercial Banks: A Malaysian Case Study”, 12th Australian Finance and Banking Conference, Sydney, Australia, 1999. “Electronic Banking in Malaysia: A Note on the Evolution of Services and Consumer Reactions”, (co-authored) Third Annual Collector Conference, Wellington, New Zealand, 1999. Authorised by: Marketing and Future Students. Maintained by: Monash University Malaysia Webmaster Team. Last updated: 13 Nov 2018.